At Stone Quest, our slogan is “We Rock!” and we take that quite literally. 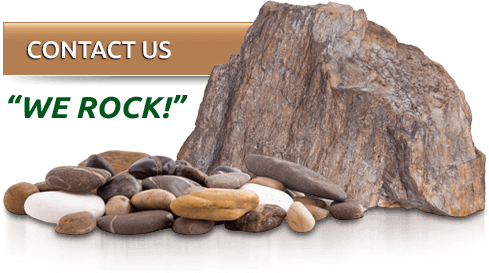 We have the largest selection of decorative stone and mulch in the Great Lakes Bay Region. Our large selection allows you to pick a material that best compliments your home, barn, office or store without having to compromise. We also carry hardscape products and accessories from manufacturers like Fendt, Oaks, Rockwood, Rosetta, Surebond and Firegear Outdoors. Come and walk through our outdoor displays, or attend one of our DIY Classes. If natural stone is the look you want, we have materials for flagstone patios, garden walls, steps, large outcropping or boulders. With our large selection of quarries, we have a natural stone product in the color you are looking for. Come and talk with our friendly, knowledgeable staff and discuss your next project.